This lightweight canvas sneaker is perfect for the summer. 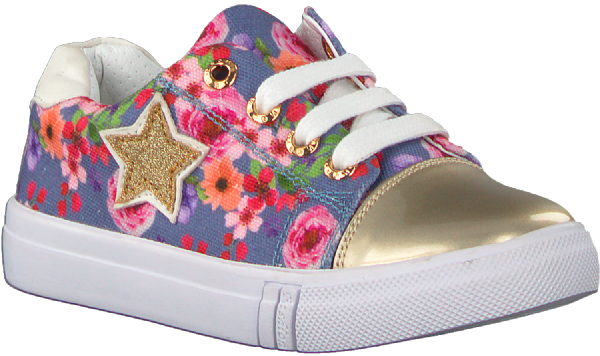 The sneaker is equipped with a jeanse blue background with flower power print. On the side is a star of golden glitter. The shiny champagne-colored nose makes the shoe extra girly. The low sneaker has white laces but also has a zipper on the inside. The footbed of the sneaker is removable.